Just a couple of days ago, we reported that the Xiaomi Mi A1 is receiving Android 9 Pie beta update in various parts across the globe. Now, some Mi A1 users on Reddit are stating that they’re receiving the stable Android P update out of nowhere. 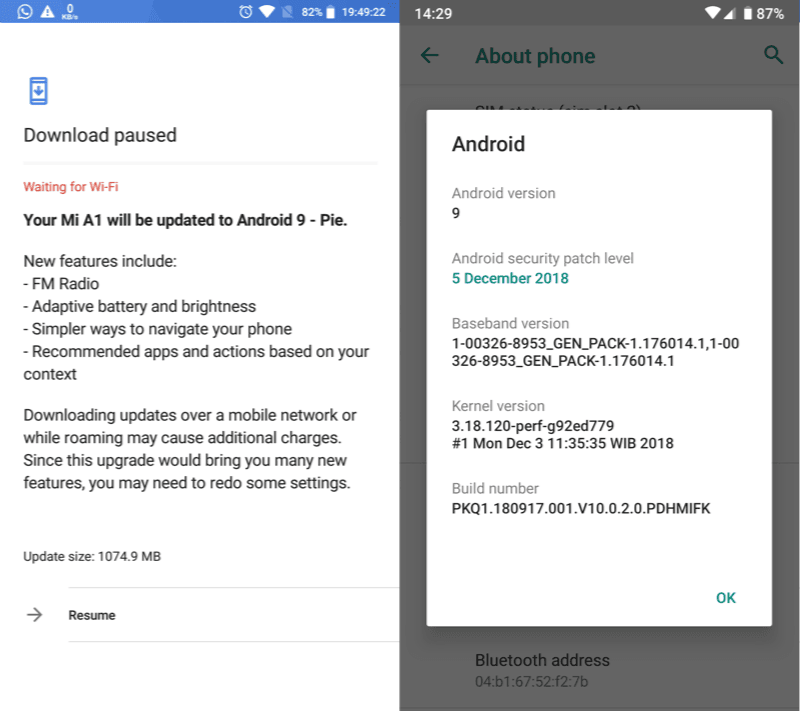 The stable Android 9 Pie update for Mi A1 weighs 1074.9MB in size and it brings December 2018 security patches, FM Radio app and all the other features introduced by Google. Notably, users from Netherlands and Canada have received this update, but some Indian users of Mi A1 also mentioned that they managed to grab it by clearing the data and cache of Google Play Services, Google Play Framework apps. 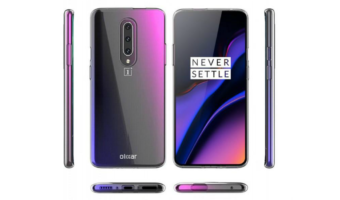 Furthermore, some users managed to grab it via VPN method which is famous for OnePlus devices. Xiaomi did a commendable job this year in rolling out timely software updates. It already pushed Android 9 Pie update to a majority of Xiaomi Mi A2 users, and now, it has started the rollout for Xiaomi Mi A1. The Android 9 Pie update for Mi A1 brings the adaptive battery, adaptive brightness, revamped interface, redesigned Settings app and more. Xiaomi has also added FM Radio application to the Mi A1. Since the launch of the phone back in December 2017, users complained about the absence of FM Radio support on the Mi A1. While Xiaomi is yet to reveal the reason behind its absence, it’s good to see the company finally added it as most of the users have been asking for it since the day of its launch. We don’t have a Mi A1, so we really can’t state anything about the update’s bugs and performance. But some users who updated their Mi A1 to Android 9 Pie states that all the Bluetooth paired devices have been disconnected which forced them to reconnect them. Some of these devices include Mi Band 3 and Bluetooth headphones. 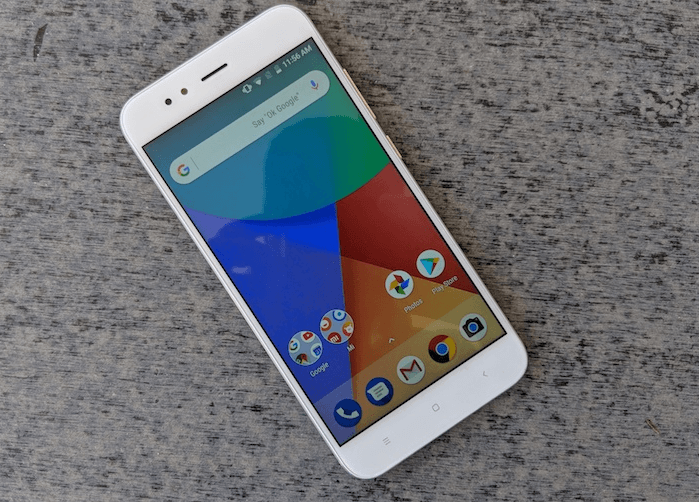 Xiaomi Mi A1 Android 9 Pie Update: How to Get it Right Now? 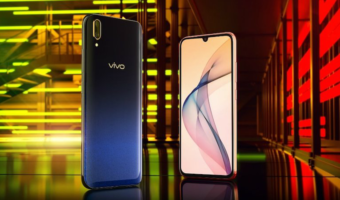 Normally, a smartphone brand pushes an Android update in a phased manner and that’s what Xiaomi is following right now. But going by Reddit reports, you can get the update by performing some steps. Firstly, this is the most common method used by many people to get a new version of the Android update: clear the data & cache of Google Play Services, Google Services Framework, Location Services, Fused Location and Google Backup Transport apps and check for the update manually. You might receive the update by this method. If not, you can try the VPN method which is often used by several OnePlus users out there. Download any VPN app from Google Play Store and connect to the Netherlands server. Now check for the update manually again. 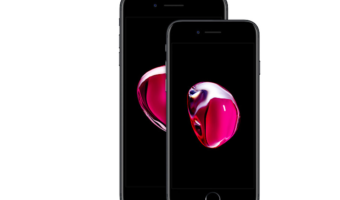 If you receive it, proceed with the installation process.